The RamBox® Cargo Management System (also known as RamBox®) is a hard-working storage compartment that makes organizing your truck bed easier and more efficient than ever. Appleton truck owners can build this accessory directly into their truck’s side rails, providing a convenient, out-of-the-way space to store everything you need to get the job done. Designed to help maximize space and minimize mess, the RamBox® helps Green Bay drivers get the most out of their trucks. This durable, dependable storage system can fit large items such as full-size shovels or fishing rods, and can be locked to keep all your items secure. It’s also easy to drain and clean, with a lightweight construction that makes organizing your truck a breeze. 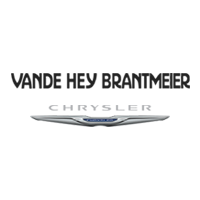 At Vande Hey Brantmeier, we only use genuine Mopar parts and accessories, so if you’re looking to organize your ride and boost your storage capacity, contact our parts department today! We can help you order parts and make your truck work even harder for you. 0 comment(s) so far on What is the RamBox® Cargo Management System?